Does Gender Affect Excess Weight Loss After Weight Loss Surgery? Our findings suggest that %EWL at 3 month is no different between males and females eventhough more females in our series underwent a LRYGB. Between 6 month and 18 month post-operative, females have a significantly higher %EWL than males. 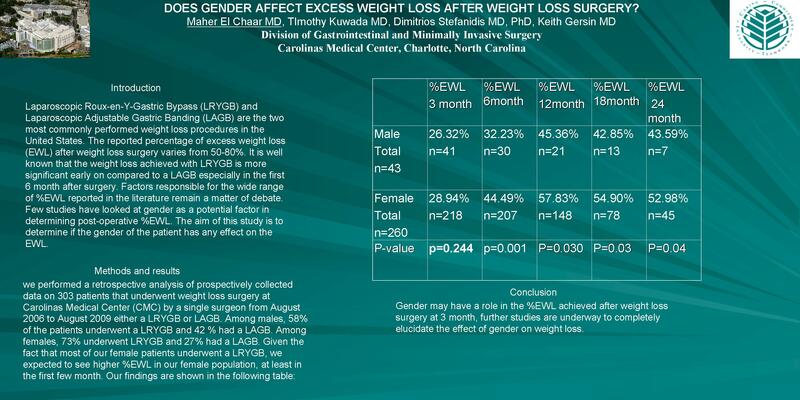 Conclusion: Gender may have a role in the %EWL achieved after weight loss surgery.